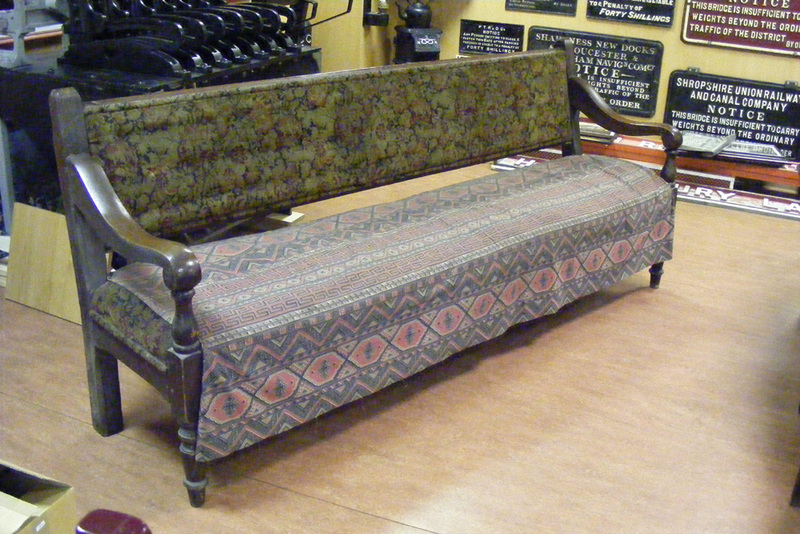 One of the Museum exhibits is an old Railway Station waiting room bench. Having seen heavy use over the many years of its life, the fabric covering was badly worn, exposing the horsehair filling. Using the money generated from the ” bench fund” table situated outside the museum room, the bench has been recovered and re sprung. Photo’s by Chasewater Stuff & Oakparkrunner. 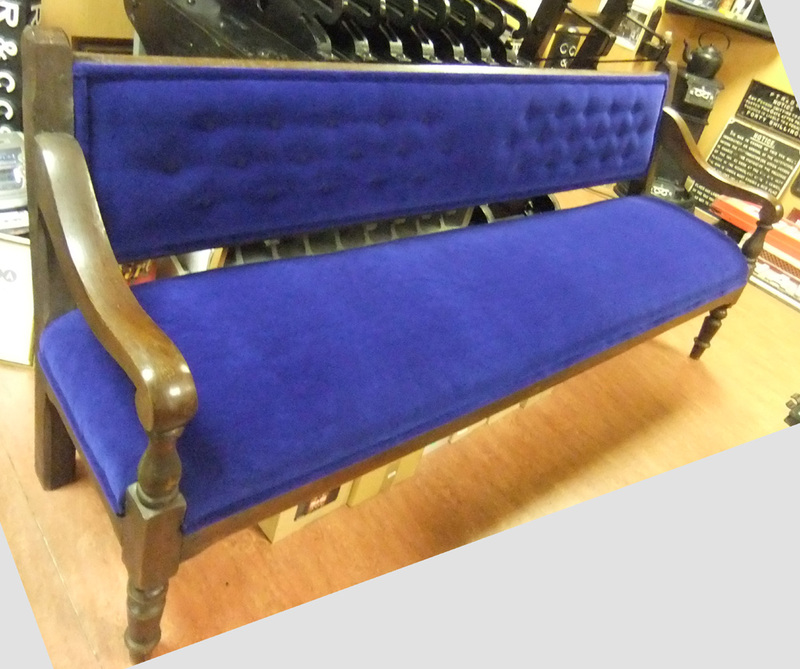 An excellent job was carried out by Steve Wade, a local Upholsterer, who has a workshop at the rear of 59 High Street Walsall Wood WS9 9LR. This entry was posted in Museum Exhibits and tagged Aldridge, Bloxwich, Brownhills, Burntwood, Cannock, Cannock Wood, Cheslyn Hay, Great Wyrley, Hazel Slade, Heath Hayes, Hednesford, Lichfield, North Staffs Railway, Norton Canes, NSR, Pelsall, Staffordshire, Station Bench, Walsall, Walsall Wood, Wolverhampton. Bookmark the permalink.